Phillip Williams joined the Jacksonville Police Department in July of 1996 and has worked for the patrol and the traffic divisions. 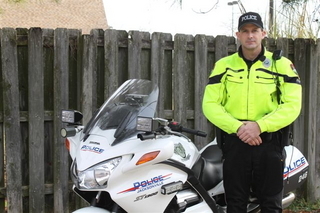 Phillip is one of three motor officers with the department and has been a motor officer since 2007. He was recently promoted to the rank of Sergeant and is currently assigned to the Patrol Division. Phillip has successfully completed Motorcycle Patrol School and received his certification to be a Bike Safe Instructor in 2008. Since that time Phillip has trained or assisted with training hundreds of motorcyclist that came through the Bike Safe class. Phillip has completed several crash investigation school including reconstruction, pedestrian reconstruction and motorcycle reconstruction.